“LibertyFest is a building of coalitions from the entire spectrum of the liberty movement. We must come together if we are going to bring liberty back to our country. What better way to start rebuilding than to begin at the place where liberty was lost as we come together to bring it back on the 10th Anniversary of 9/11 ,” says Gigi Bowman, co-organizer of LibertyFest and founder of Liberty-Candidates.org. The event has drawn an impressive roster of speakers, including NY Times best-selling author and Senior Fellow of the Ludwig von Mises Institute, Tom Woods. Other speakers include voluntaryist philosopher, Stefan Molyneux – former Arizona Sheriff, Richard Mack – former Congressional candidate, Adam Kokesh – Gary Franchi, founder of the RTR.org social network – and 2012 Libertarian Presidential Candidate, RJ Harris. 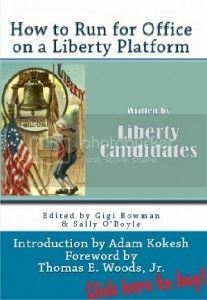 In addition, many current and former candidates from Liberty-Candidates.org will be speaking and celebrating the launch of the first official book from the same organization, titled: How to Run for Office on a Liberty Platform. Book signings, Liberty themed music & clothing, precious metals by Del Valley Silver and much more will be available in the vendor loft. “We will be honoring 9/11 heroes and victims, discussing philosophy, debating solutions to national political and economic challenges and having a great time while doing it!” said co-organizer Danny Panzella. LibertyFest NYC is being held at Club Amnesia: 609 West 29th Street New York, NY 10001 from 5:00 – 11:00 PM on September 10th, 2011. Organized and hosted on a grass-roots level by Liberty Activists: Danny Panzella (TruthSquad.tv), Gigi Bowman (Liberty-Candidates.org), Ian Cioffi (PatriotPolls.com), Amanda Trbovich (Trbobitch.com) and Christina Tobin (FreeandEqual.org). 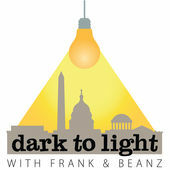 Sponsored and Co-Hosted by: The Free & Equal Elections Foundation – a non-partisan, non-profit public policy advocacy group dedicated to election reform and improving ballot access laws in the United States. Tickets, info and sponsorship & vending opportunities are available athttp://LFNYC.com.